After brewing up some "Flat Tummy Tea" last month, Freddie Gibbs and Madlib have now shared another new track from their forthcoming collaborative effort Bandana. Sharing its title with the disc itself, "Bandana" finds Gibbs fixing to "give a hater a handicap with this hand cannon" over a looping groove, giving way to an outro from dancehall legend Assassin. You can hear the song in the player below. A press release notes that the song will appear as a digital bonus track on the album, which has yet to receive a release date. As previously reported, the song will also appear as the B-side to "Flat Tummy Tea" on a 12-inch vinyl record, available for pre-order here. 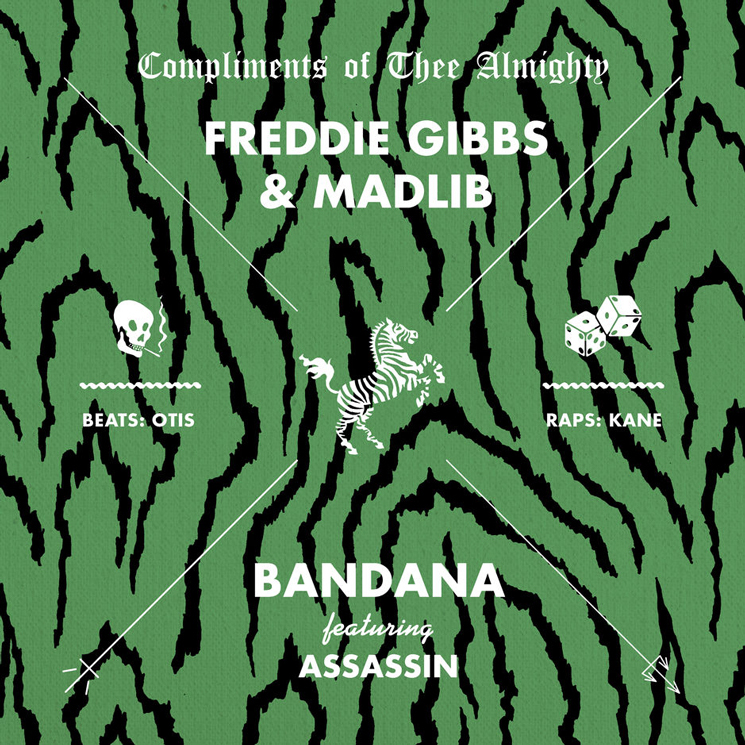 Gibbs and Madlib last released their collaborative Piñata LP in 2014. Last year, Gibbs delivered solo effort Freddie, and teamed up with Curren$y and the Alchemist for the collaborative Fetti.